Today’s the second pattern reveal of the 2018 Holiday Stitch-along Ornament Club! Members, check your inboxes for an email with a download link to your updated file! Introducing the “Say Cheese! 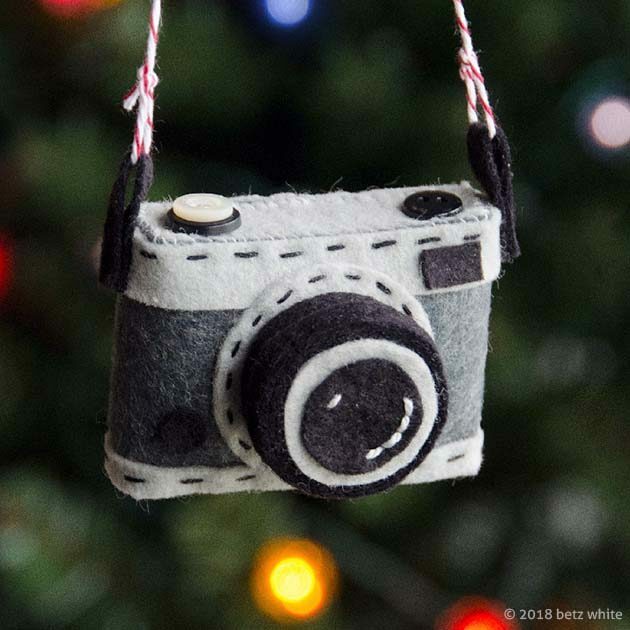 Camera Ornament Pattern”. The holidays are all about gathering together with family and friends, and making memories! And let’s not forget those family photos we all take. Where would we be without our beloved cameras? 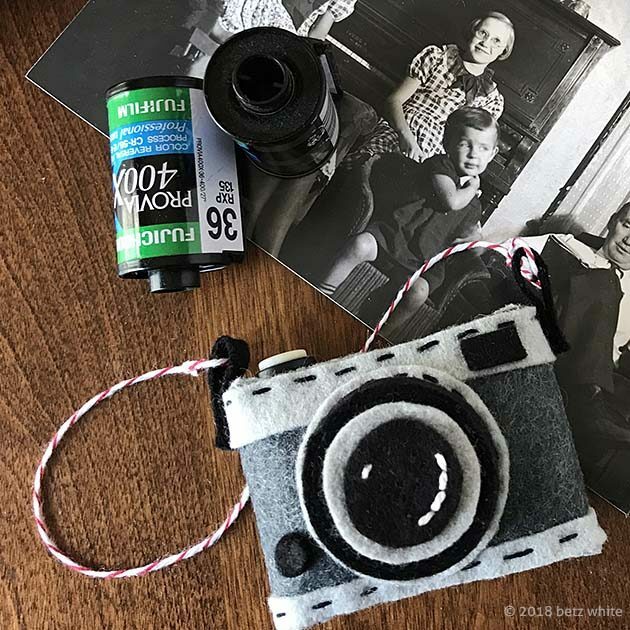 Oh I know, we all use our phones now to take photos, but remember film? And prints to tuck into our holiday cards? 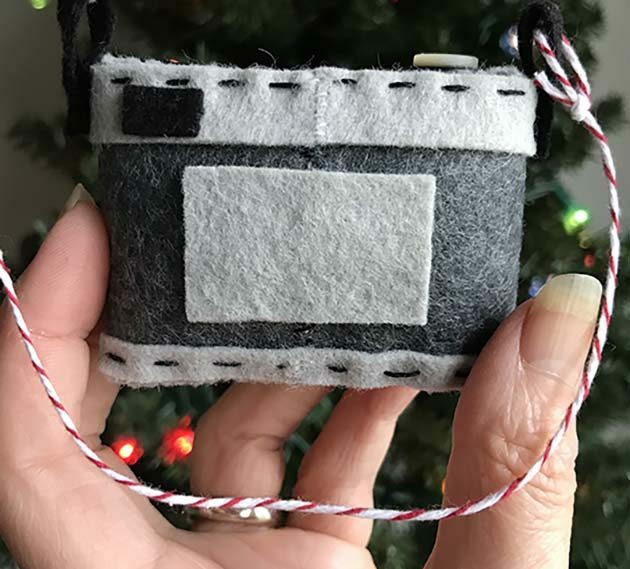 This cute little SLR felt camera comes together with felt, glue, and some basic hand stitching. It even has a little zoom lens and buttons on top as, well, buttons! 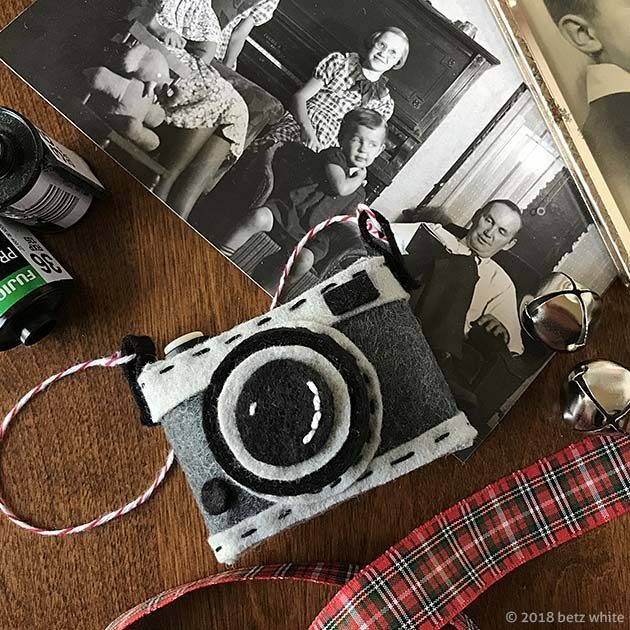 The back has a “screen” (for a digital look) where you can add a name or date to personalize your camera. Or maybe even stitch a tiny tree? Cute! 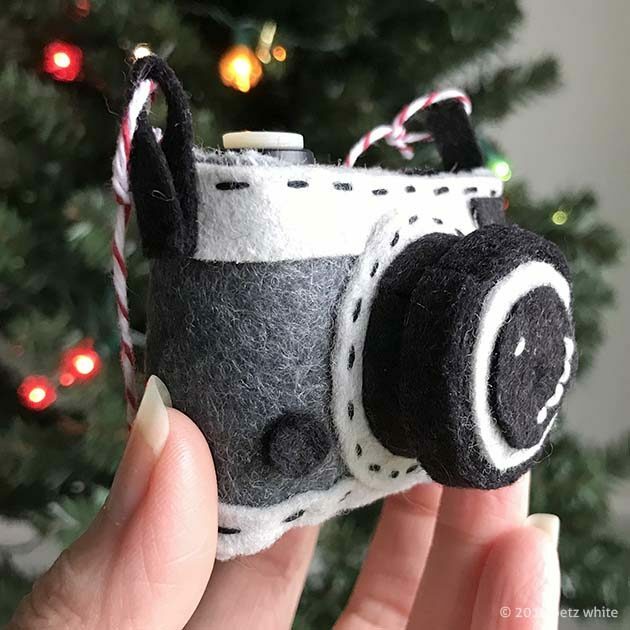 There are so many photographers in my family, I know I’ll be making a bunch of these for gifts this year! If you’re not yet a member of the 2018 Holiday Stitch-along Ornament Club you can still join! The club runs until the end of the year. You can read the FAQ page about the club here. I’d love to see what you’re making! Use the tag #holidaystitchalongornmant club!